Tommy Sosebee was from Greenville, South Carolina. 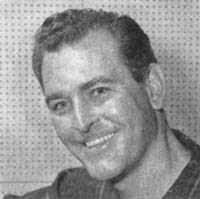 Prior to 1955, he was a member of the WSM Grand Ole Opry in Nashville. By the mid-1950s, his career had taken him to Springfield, Missouri and was making regular appearances on the ABC network show, "The Ozark Jubilee". Tommy's first hit record was "Til I Waltz Again With You". He was married and had four kids.